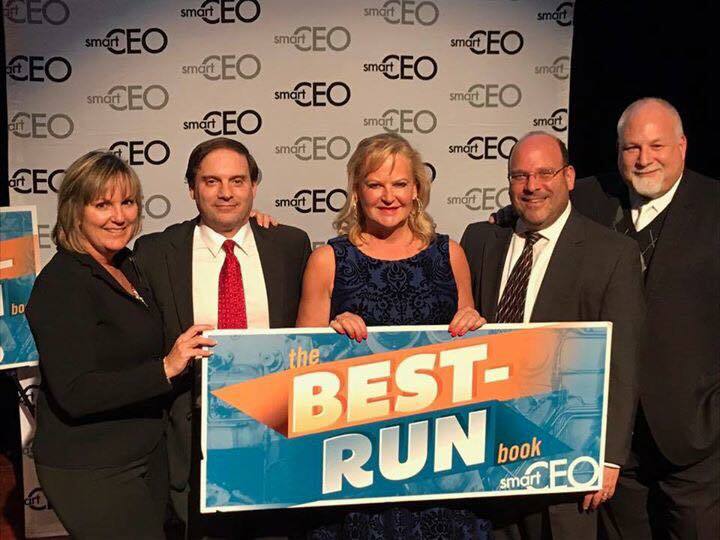 From left, Director of Sales Carolyn Callahan, CFO Bruce Kudeviz, CEO Kristina Bouweiri, COO Tony Simon and Director of Business Relations Barry Gross accept Reston Limousine’s Best-Run Company award at the SmartCEO book launch party on Jan. 12 in Bethesda, MD. “We’re honored to have been recognized for our company’s process, vision, customers, culture, leadership, communication, growth, brand and talent,” President and CEO Kristina Bouweiri said. Those nine critical aspects are factored into the award, which the magazine bestowed on about 90 companies headquartered in the Washington and Baltimore metropolitan areas. The Best-Run companies generate more than $2.76 billion in collective annual revenue and employ more than 20,000 people, according to a SmartCEO press release. Bouweiri joined Burris and CEOs from the other Best-Run companies at a Jan. 12 event in Bethesda, Maryland. At the event, they celebrated the launch of SmartCEO’s “Best-Run Book,” a collection of the Baltimore-Washington region’s best business stories. 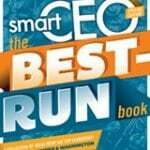 For more information about SmartCEO’s Best-Run Companies, visit www.smartceo.com/best-run-book/. Under the leadership of President and CEO Kristina Bouweiri, Reston Limousine has grown from five vehicles in 1990 to a $26 million company with more than 230 sedans, SUVs, limousines, vans, and buses. The award-winning transportation operator services the Washington metropolitan area and beyond 24/7 from its headquarters in Dulles, Virginia, and a satellite location in Capitol Heights, Maryland. Most visibly branded through the shuttle bus routes it operates for George Mason University, Howard University and other public and private institutions, Reston Limousine also provides the full spectrum of charter services including winery and brewery tours, DC sightseeing excursions, airport transfers, corporate and event transportation, and more. For additional information contact Reston Limousine at 703-478-0500 or visit www.restonlimo.com.